The imposing flagmast over Parliament House. Photo: AUSPIC/DPS. The ayes have it. Parliament House is an iconic building and an outstanding example of public architecture. For a behind-the-scenes look at this special place on the Hill, the Department of Parliamentary Services is conducting 60-minute walking tours in collaboration with the DESIGN Canberra Festival 2017. 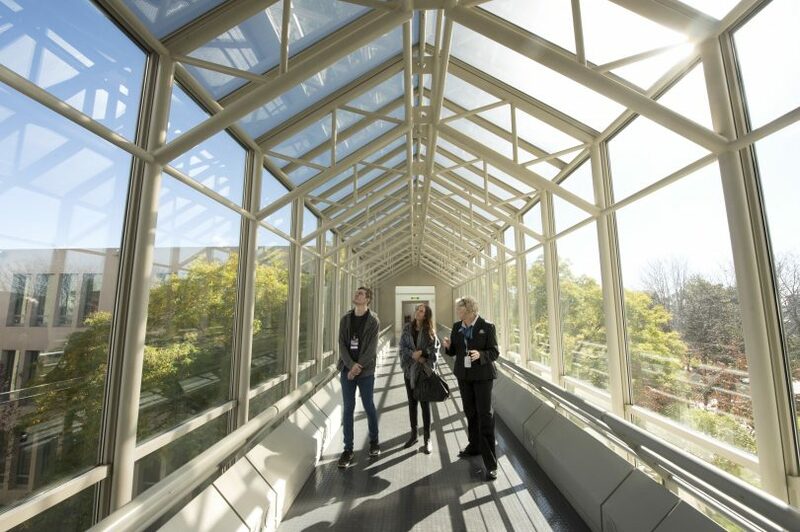 DPS says if you are a fan of Grand Designs or just love to learn the design secrets that transform a building from a functional space into an iconic landmark that is visited by nearly a million people each year, the Democracy in Design tour is for you. People on a tour of Parliament House. Photo: Penny Bradfield, AUSPIC/DPS. The Democracy in Design tour will explain the stunning design features of the building, the materials used, the bespoke furniture and how specially commissioned arts and crafts are integrated into the building fabric. 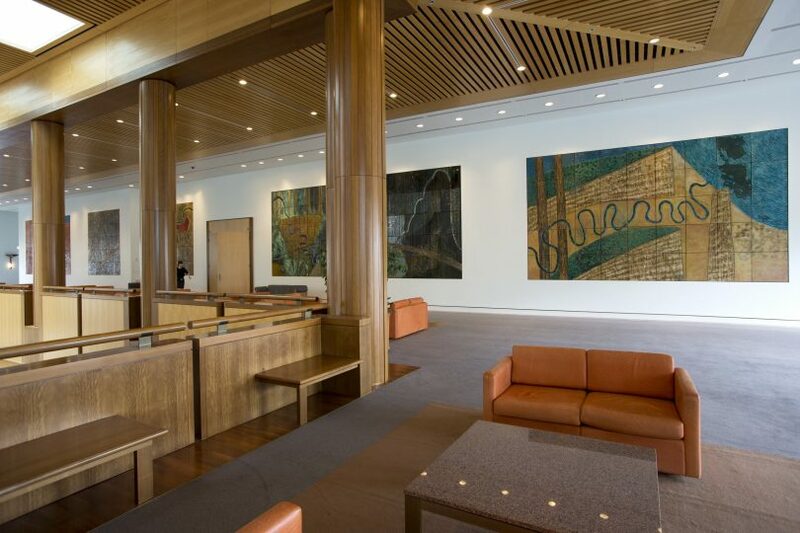 It offers a rare glimpse of some of the more private areas of Parliament House, including the Mural Hall (featuring the giant mural by Michael Ramsden and Graham Oldroyd, River Odyssey), the Member’s Hall, the Reflective Pool and an exclusive look at the Member’s Dining Room. The Mural Hall. Photo: Penny Bradfield, AUSPIC/DPS. Visitors can also enjoy High Tea at the Queen’s Terrace Café on Saturdays and Sundays. 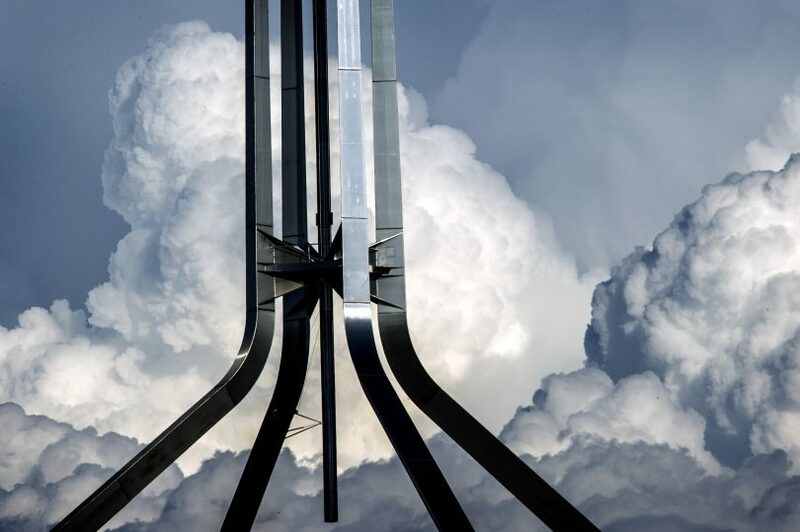 Almost 40 years ago, the judges of the design competition for Australia’s permanent Parliament House were confident that the winning design would “not only be accepted by the Australian people but will be one of which they will become extremely proud … a building that will become, as it deserves to, a national symbol”. 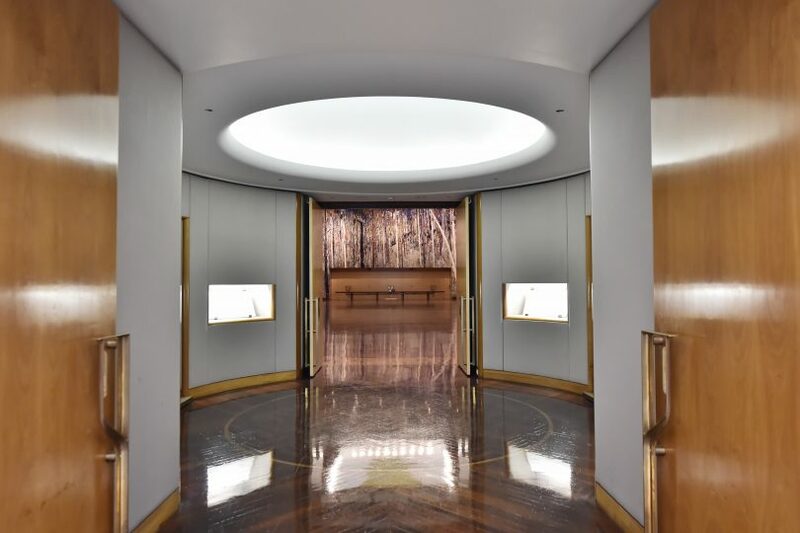 With the 30th anniversary of the building’s opening on the horizon, Parliament House, designed by Mitchell/Giurgola & Thorp Architects, is now a leading and award-winning icon of Australian public architecture. It has been visited by about 30 million people since its opening in 1988. The public area above Members hall showing the entrance to House of Representatives and Senate. Photo: David Foote, AUSPIC. Now you can see for yourself why the People’s House has won so many awards. Tour dates are Friday 10 November to Sunday 12 November, Friday 17 November to Sunday 19 November, and Friday 24 November to Sunday 26 November. There are three each day, at 10 am, 12 pm, and 3 pm. Great Hall, Parliament House. Photo: Michael Masters, AUSPIC/DPS. Comfortable walking shoes are recommended. Filming and photography are only permitted in some parts of the tour. For security purposes, participants must present photo identification and ticket confirmation for the tours. It is recommended that you arrive at least 20 minutes before your tour for screening and check-in. The tours cost $25 for adults, $20 concession and $60 for a family (Two adults and two children). A transaction fee of $4.95 applies per booking. Bookings at Canberra Ticketing or call 02 6275 2700. 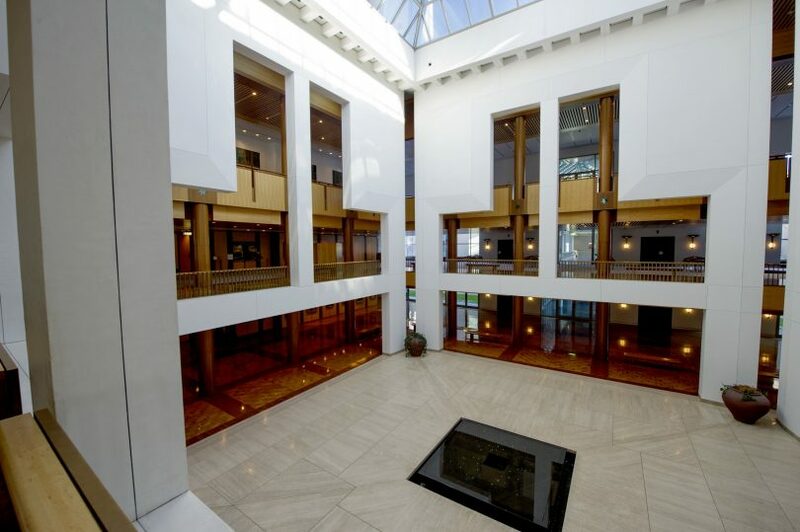 What is your favourite feature of Parliament House? What other buildings in Canberra could be considered architectural marvels? Let us know your thoughts by commenting below.